Shia LaBeouf has been a little erratic, to say the least, as of late. After appearing on a red carpet with a bag on his head reading “I AM NOT FAMOUS ANYMORE,” the Transformers actor has now opened a one man art show in Los Angeles. Fellow actor Jaden Smith tried to get into the show, but after waiting in a long line and not getting in, he tweeted a message to Shia: “I am here for you”! 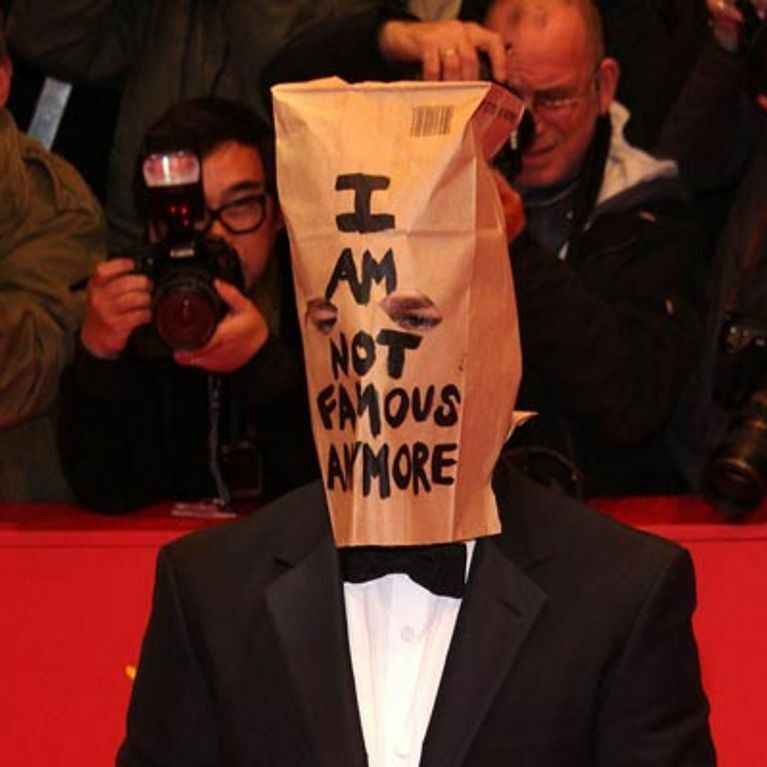 Then, to top all this off, he appeared at the red carpet premiere for Nymphomaniac wearing a paper bag over his head, featuring the same message. After all this drama, you’d think perhaps the actor would, in fact, retire from public life for a while? Not at all. Instead, he has opened a one man art show in Los Angeles, titled “#IAMSORRY". The show consists of Shia sitting in a chair, wearing the now infamous paper bag, while visitors are invited to one-by-one read mean comments - written about Shia - aloud to him. Shia has received plenty of backlash for his recent behavior, but several celebrities in Hollywood have come forward to show their support. Will Smith’s young son and fellow actor Jaden recently tweeted that he was available if Shia needed someone to talk to. Jaden took to Twitter after he was unable to make his way into Shia’s art show, due to the extremely long line. I Waited In Line Today On Beverly Blvd To See @thecampaignbook I Never Got See Him But I Had A Very Important Message To Deliver. I'm Here If You Need A Fellow Insane Person To Talk To. But I'm Seriously Here Not Like One Of Those I'm Here For You's That Everybody Says. It Was A Message That Only Could Be Understood Artist To Artist. @thecampaignbook I'm Here For You I Believe In What Your Doing. Shia has not yet responded to Jaden’s kind gesture, and the Transformers actor is now the only person Jaden is following on Twitter. What do you think of Shia’s recent behavior? Is an art show really the best approach? Tweet us @sofeminineUK.